British diesel drivers should still hang on for France but everyone should fill up before Portugal. Meanwhile, recent rises tail off. Also, impressive Swiss towing stunt from Land Rover’s Discovery Sport. And, annual Paris car-free day will be mega, as Brussels pedestrian zone shrinks. Brexit threat to M20 truck park claim as hauliers vote to leave. Expensive Italy and Portugal; still cheap Luxembourg and Austria. Ahead of the summer holidays, our working theory that the EU’s most expensive fuel is in the northwest – Netherland, Denmark, UK and Belgium – and the cheapest is in the south east – Austria, the Balkans – broadly holds up. The notable exception, as ever in recent years, is Italy. Diesel comes in at £1.06 per litre, according to the latest figures from the RAC Foundation, and unleaded95 at £1.20. That puts it second and third most expensive in the EU respectively. Also particularly and persistently expensive is Portugal. 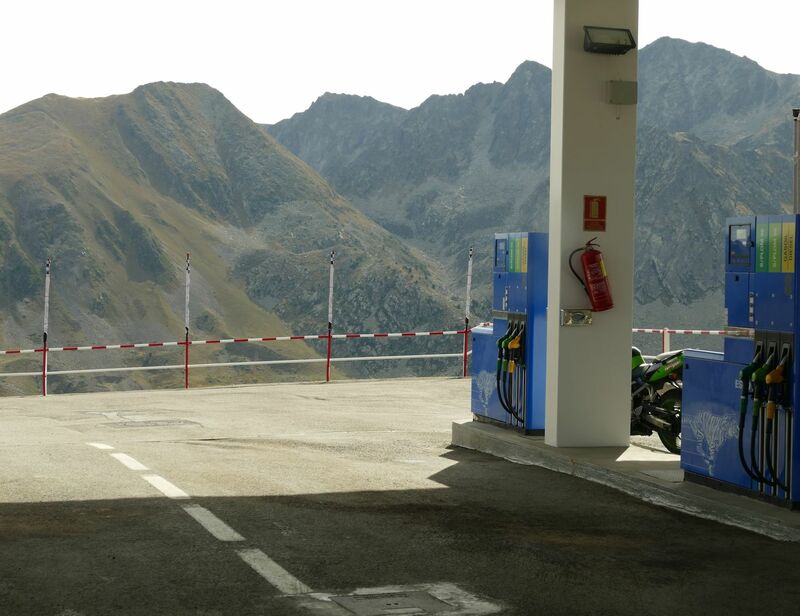 Its £1.16 per litre for unleaded95 compares to £0.95 in neighbouring Spain. The difference is not quite so marked with diesel at £0.95 versus £0.83. Meanwhile, for British diesel drivers it is still definitely worth refilling in France. The difference is just under 20p per litre. But it’s probably not worth petrolheads stretching fuel across the Channel. Unleaded95 prices are separated by just 3p per litre. Elsewhere, there is some evidence to say recent rises are tailing off. A succession of increases saw Luxembourg diesel almost breach the psychological €1 per litre last month but it is back down now to €0.95 (£0.76). Although it is still cheaper than Romania, Luxembourg unleaded95 looks relatively expensive at €1.123 (£0.91), though that is on the way down too according to Wort.lu. In Germany too, standard E10 petrol (10 percent ethanol) has finally tailed off after steady increases since the beginning of April. It now stands at €1.32, up from €1.20. Diesel has increased from €1.04 to €1.11 in the same period, and is still going up, but the rate has slacked off somewhat according to ADAC. The spread of unleaded95 prices in the EU is £0.76 (Bulgaria) to £1.23 (Netherlands). Diesel ranges from £0.70 (Poland) to £1.12 (UK). The RAC Foundation’s EU fuel data is updated weekly (and handily converts all prices to sterling). See prices in every European country in euros at Fuel-Prices-Europe.info. Prices are indicative only – they may be considerably higher on busy routes and much less out in the sticks. Differences between countries are likely less marked in border areas with the exception of Belgium and Luxembourg where prices are regulated. Prix Carburants lists all fuel prices in France by region. A standard Land Rover Discovery Sport – aside from the fitment of rail wheels – has pulled 100t of rail carriages across the Rhine in north east Switzerland. The 180bhp SUV allied to a regular 9 speed automatic gearbox has a certified towing weight of 2.5t. Land Rover credits its range of towing and traction aids including tow assist and tow hitch assist among others. The crossing is the 254m Hemishofen Bridge in Stein am Rhein, 55km north east of Zurich, part of the 100km Etzweilen-Singen heritage rail route. roundup: the next Paris annual car-free day on Sunday 25 September will be five times larger than last year’s inaugural event says a statement from Paris.fr (this is distinct from the now monthly car-free day confined, for the moment, to the Champs-Elysees). More than 650km of roads will be barred in all districts of the city centre, at least partially, or 45 percent of the entire area. Residents however will be allowed to drive, albeit at a maximum 20kmh. Over in Brussels however, the city council has again voted to reduce the size of its new pedestrian zone, notably at the north end Place de Brouckere outside the Metropole Hotel, though it’s not clear from reports in Flanders Today or Brussels The Bulletin if this is a victory for hard hit businesses, or just part of the tinkering promised at the outset… British Chancellor George Osborne says a vote to leave the EU next week could jeopardise both the £250 million M20 Operation Stack truck park and the planned second Thames Crossing, reports Kent Online, because the savings from an emergency budget in the wake of Brexit would put all high capital projects at risk. Earlier this week, a survey of RHA Road Haulage Association members showed 60 percent in favour of leaving, with 30 percent wanting to stay and 10 percent undecided. Among firms with 65 vehicles or more, 80 percent will vote to remain and 17 percent to leave.